Get access to great LOVEtheatre deals no matter where you are by downloading the FREE LOVEtheatre App from the iTunes App Store. 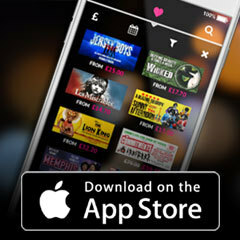 Download the free LOVEtheatre app today on iTunes App Store. Download the free LOVEtheatre app today on the App Store.